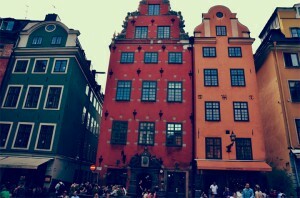 Schantzska huset is located at The Great Square, number 18. 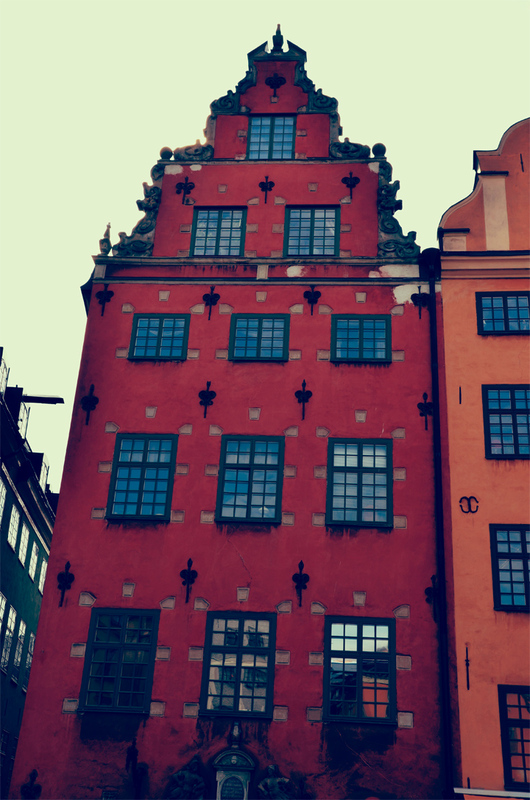 During the 1650s king Karl X Gustav´s secretary, Johan Eberhard Schantz, bought this house. Schantz decided to rebuild it (and the result of that is what you can see today). 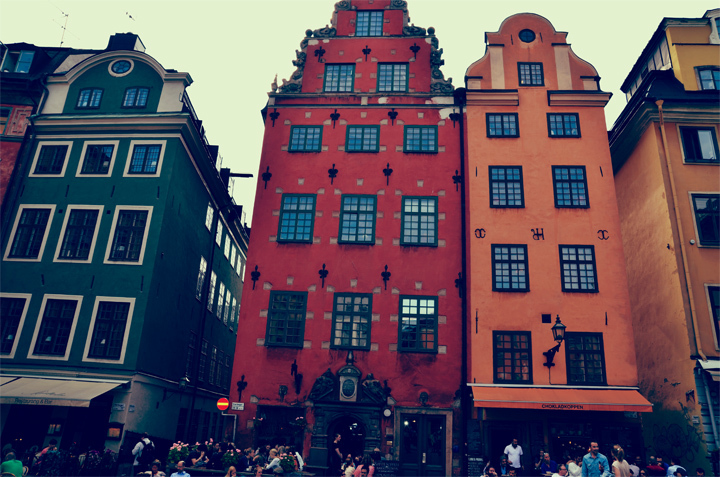 When he reconstruct the house he also choose to place 86 stones in the facade (as you can see in the picture), in honor of the people who died during Stockholm’s bloodbath. Exactly have many stone´s differ a bit. Some say it is 90 stone while some other disagree and think it is 86 stones. Nowadays you will find café Kaffekoppen at the entrance floor of Schantzska huset while café Chokladkoppen is located in the house next to Schantszka huset.